The Saudi-led coalition in Yemen has welcomed an offer of talks from an historic foe, the war-torn country's former president Ali Abdullah Saleh. In a televised speech on Saturday, he said he was ready to 'turn the page' if the coalition stopped attacks on his country and lifted its blockade. His apparent change in stance has shattered Yemen's rebel alliance, with friends turned foes now fighting each other in the capital. Aircraft from the Saudi-led coalition bombed Houthi positions in Sanaa overnight on Sunday, residents and local media said, aiming to shore up supporters of Saleh as they now battle their former Houthi allies. 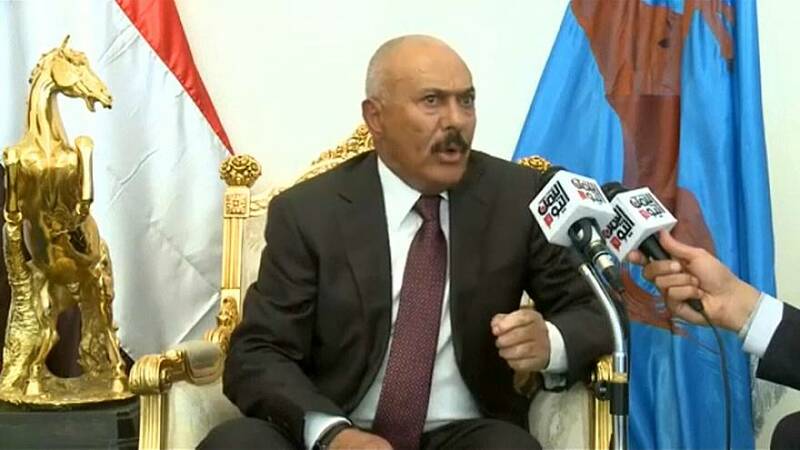 The Houthis accuse Saleh of betrayal. Houthi leader, Abdel-Malek al-Houthi, earlier appealed to Saleh to avoid any escalation, saying that the crisis would only serve Yemen's enemies. As well as getting a good reception from the coalition, Saleh's offer of talks has also been welcomed by President Abd-Rabbu Mansour Hadi who leads Yemen's internationally recognised government. The clashes and fracture of the rebel alliance add a new layer to an already complex situation in Yemen, one of the poorest countries in the Middle East, where a proxy war between the Iran-aligned Houthis and the Saudi-backed Hadi has caused one of the worst humanitarian crises in recent times. Yemen's war has killed more than 10,000 people since 2015, displaced more than two million people, caused a cholera outbreak infecting nearly one million people and led the country to the brink of famine.